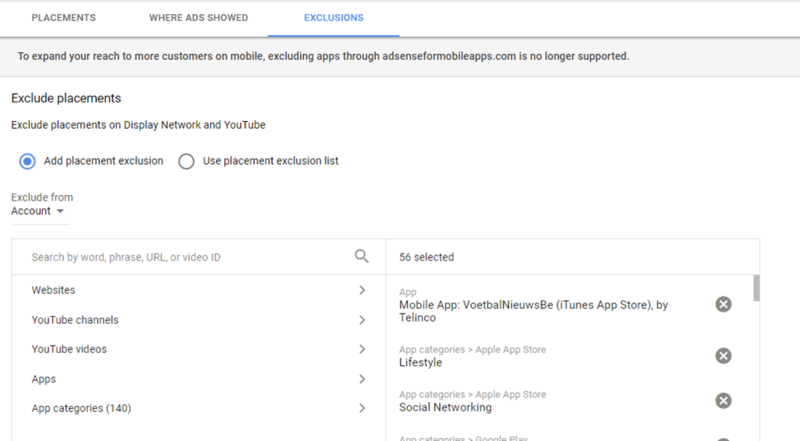 I was having a conversation with a large agency in a small country and they had mentioned that their Google Ads rep told them they were the only agency in their country to have ever changed the ad rotation option. While that seems fairly unbelievable (I believe the rep told them that, but it being an accurate statement seems quite odd), it got us looking into what features are not often used across many accounts. When we started looking into the data, it turns out that most of these underused features are buried in the interface, rarely talked about, or no one seems to understand the setting. In today’s column, we’ll examine some of the most underused features so you know they exist and look at what they actually do for your account. Bid adjustments wouldn’t make our list as most people are using some bid adjustment from time of day to device to locations. However, there are 3 bid adjustments that are rarely used, so we’ll take a look into these 3 bid adjustment types. If you are using the call extension, you have a special screen of information that is buried under the ‘advanced bid adjustments’ tab. When you navigate to this tab, you’ll see one of the top underused metrics for call, which is inter. coverage. This is the percentage of times that your call extension was displayed when it could have been displayed. This correlates closely (but not absolutely) with your mobile impressions. If your ad has 1000 mobile impressions and your call extension was shown 50% of the time (your coverage rate), then you have 500 impressions where the call extension was displayed and 500 where it was not. Now, this is not an absolute formula. There are times Google won’t show you call extension on a mobile device and other times they will show it on a desktop device. Google does not give a good explanation for why they show or don’t show the call extension. However, you can influence how often your call extension is displayed by using the bid adjustment for calls. As you increase this bid adjustment, your call coverage should increase. If you are focused on driving calls from mobile devices, this is a great bid adjustment to use. I’ve seen the inside of thousands of Google Ads accounts. I have seen this feature used exactly 1 time. It is most likely the top underused feature in all of Google Ads, and with good reason, no one knows what it is. If you are under Advanced Bid Adjustments and click over to Top Content, you will see a list of your campaigns that are being displayed on the display network along with their impressions for top content. This is the number of impressions you have on pages that Google has deemed to be more popular than other content, have a high number of impressions per day, and get higher levels of traffic and viewer engagements than other pages. Google does not display any conversion metrics for this content. So you can take Google’s word that the content has high engagements, but you can’t actually measure it at all. If you are doing a popular product launch (the next big phone, movie, etc), then you can force your ads into this type of content by adding a bid adjustment so you have a higher bid for this type of content and thus have your ads displayed there more often. If you are focused on conversions, then keep looking through our list as you can’t easily measure what this additional spend is actually doing for your account. 12 countries have income targeting available. What this does is allow you to adjust your bids by income level. We like to chart conversions vs conversion rate to see if there’s a trend. In this case, the company is selling a high-end service. As the income goes up, so does the conversion rate. Across these two accounts, the only clear trend in conversion rates is income. The trends are more prominent for income than location, time of day, or even device. If you have income trends, then take advantage of them and use income level bid adjustements. Everyone with any experience in Google Ads understands the importance of ad extensions. However, most accounts are not taking full advantage of extensions. In this case, there is only one structured snippet per campaign. It is common for someone to be under the minimum number of extensions. You can see the minimum number of ad extensions here. When Google sunsetted adsenseformobileapps.com last year, many companies suddenly started playing whack-a-mole with apps. Most companies who aren’t advertising an app do terrible on app placements. Those mistaken ad clicks when someone is trying to play a mobile game just don’t convert. This leads to people having to exclude every single app category and then following up to block apps that aren’t in categories from every campaign that runs on the display network. This is very time consuming and just a waste of your precious time. There is a placement exclusion list you can create. Navigate to the tools menu and go to Placement Exclusions lists. From here you can create a placement list and then apply it to all your display campaigns. The other way to do mass exclusions is to navigate to the Exclusions menu for placements. If you are adding exclusions, you can choose account level and add all those categories and apps and negatives. When you create a display ad group and add targeting, by default Google uses Conservative Targeting. This means Google will show your ad to people who don’t actually meet your targeting criteria. For example, if you have a dynamic remarketing campaign, then you expect the user to see the products in the ad that they viewed on your site. However, Google will show your ad to people who aren’t on your list if you use any of the automated targeting options. Since those users were never on your site, they don’t see those products in the ad. While conservative targeting can be useful for in-market and similar audiences, it’s not a good setting for your 1st party audience lists. You can change this by going into your ad groups, looking at the ad group targeting options, and changing this to be No automated targeting. The Google Ads interface has grown so complex, and default settings often changed, that it’s difficult for anyone to know what all the setting defaults, features, and other capabilities are inside of Google Ads. For many, automated recommendations created by computers that can scan mass amounts of data and then present to a human to analyze is the future of PPC. These recommendations can come from the search engines (who are setting the default settings), scripts you create for yourself, of 3rd party tools that make managing your accounts much easier and more profitable as they can automatically watch a lot of data and settings for you. If you’re looking for an automated system to watch your back, take a look at what Adalysis has to offer. Interesting insight, advance call bid adjustment. I was not aware of. Thanks for the insight full post.